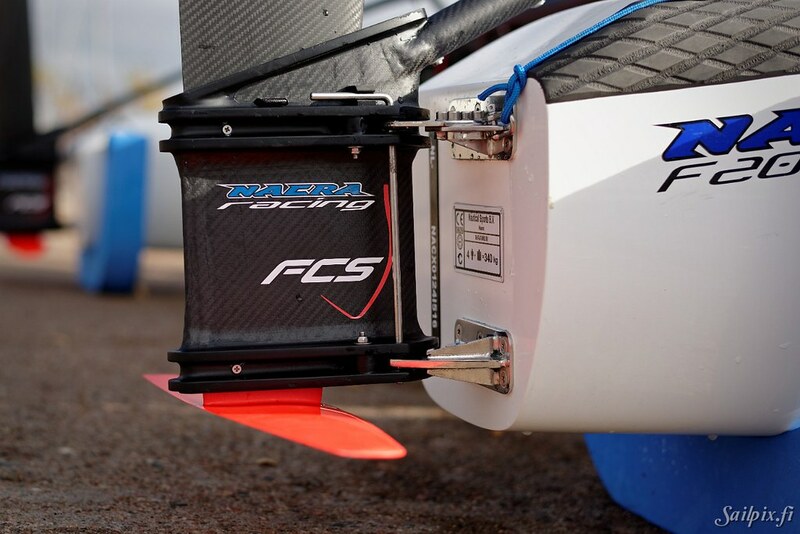 Nacra 20 Carbon FCS from Sailpix.fi on Vimeo. In autumn 2016 the Foiling Center with it’s base at Helsingfors Segelklubb (HSK) received their first foiling boat, a Nacra 20 FCS Carbon. 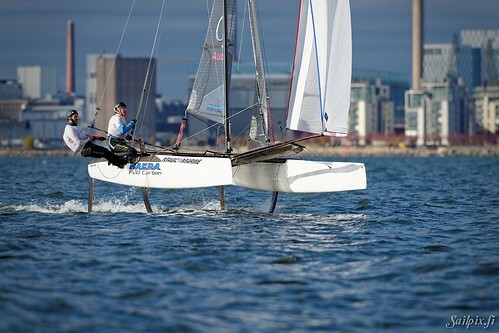 It is the absolute top model in Nacra’s catamaran series. 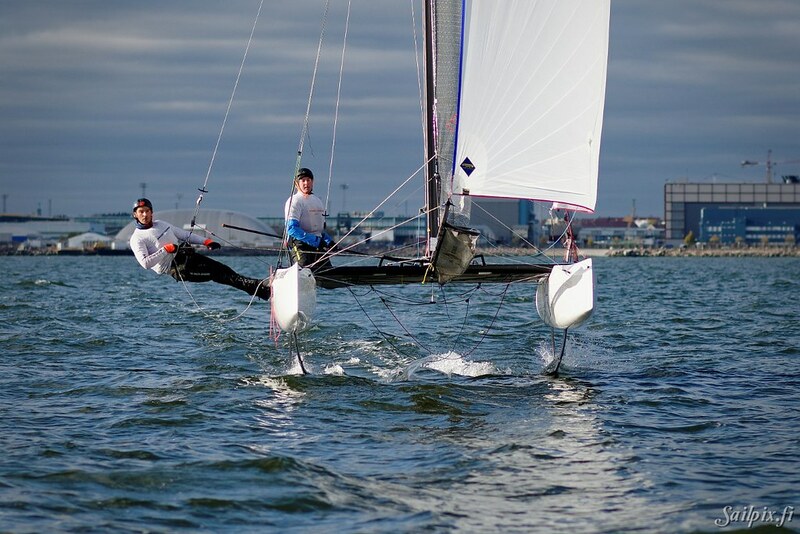 The coming summer 2017 the center will receive a semi-foiling Nacra 15, which is designed for youth sailors. The Nacra 15 will be rebuilt to a fully foiling model during the summer 2017. The center is also offering the opportunity to sail a Moth, a small foiling monohull. The video and photos are from October 2016, just when the boat had arrived to HSK. 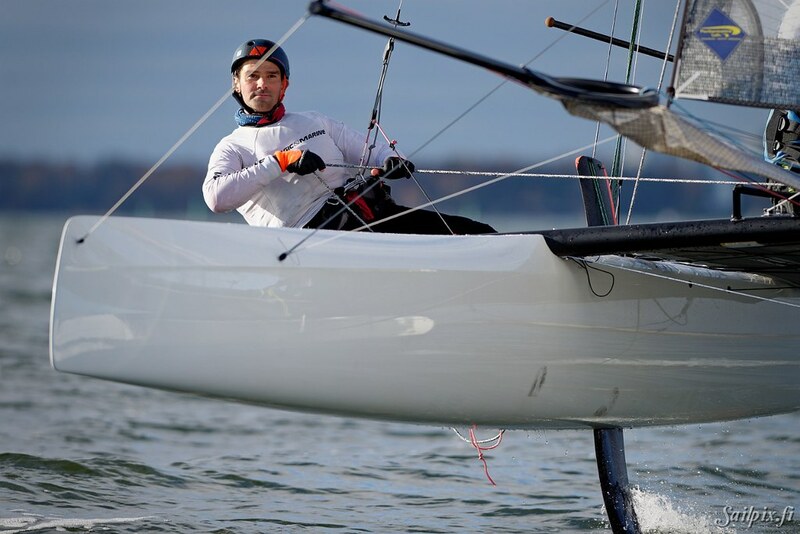 Unfortunately the wind was too light for this sporty catamaran to get up to effective foiling speed, but during the summer 2017 there will for sure be plenty of opportunities to see the flying catamarans in action.